Last spring I received my first Garden Fairy’s Wardrobe request for an “Ode to Chanel” using camellias. 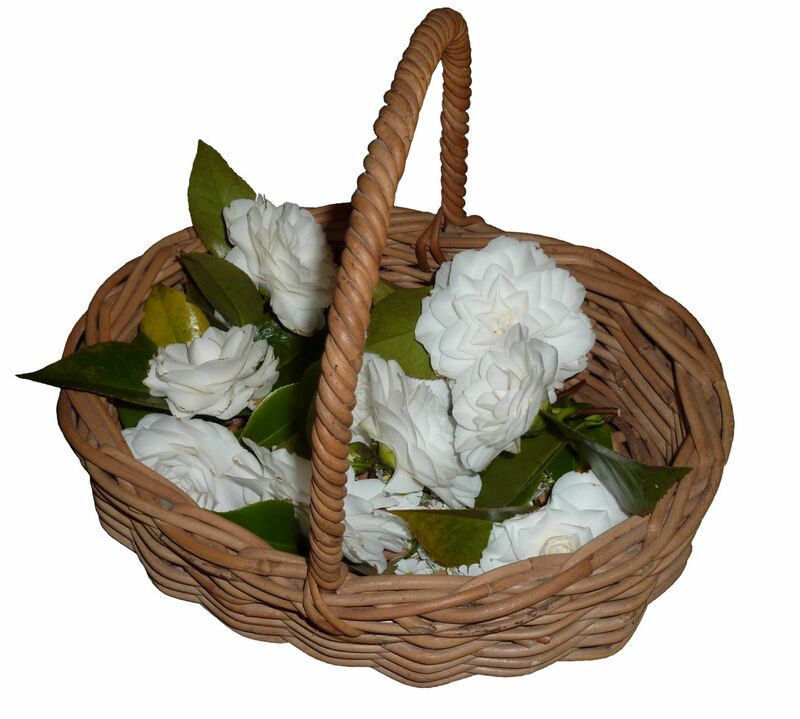 As the camellias in my garden are pink, friends offered up the spoils of their garden and so one evening I went around and with scissors in hand my friends surveyed their camellia bushes and chose the most perfect blooms to fill up my basket. I had enough blooms to create a collection of designs, and inspired by the tradition of closing a haute couture show with a wedding dress, decided on a bridal theme. 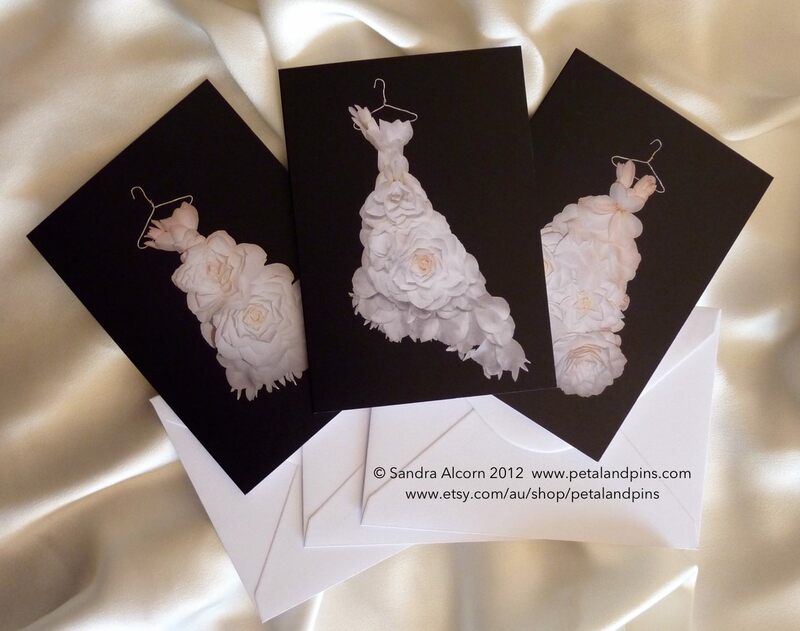 I am excited to announce that they are now available as a trio of greeting cards – perfect for a fashionista’s birthday or an invitation to a celebration! You can purchase a set from my petal & pins shop.